While most people may think that crooked teeth only affect the appearance of someone, they are actually wrong. Crooked teeth have disadvantages to the overall oral health and they can present a variety of dangers. 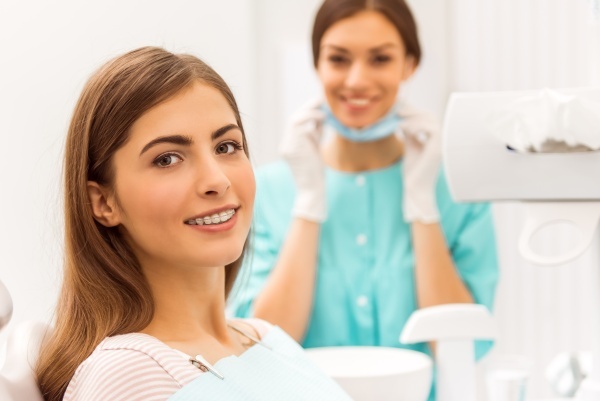 Most people don’t realize that having crooked teeth can be detrimental to the overall health, and it’s extremely important to consult and visit a dentist to talk about what they can do for someone who has crooked teeth. Today, we will go over the dangers that come with having crooked teeth. It’s important to know so that a person can get to the dentist immediately. When the teeth form crookedly, a person is at risk for gum disease because of the way that the gums grow. When the teeth are not straight, the gums do not form evenly around the teeth. Leftover food particles or plaque are more likely to get stuck between the teeth and or gums when the teeth don’t fit with the gums evenly. When plaque builds up, bacteria begin to form and the uneven spaces between crooked teeth and the gums start to become a breeding ground for bacteria. When the teeth aren’t evenly distributed within the mouth, they are more likely to crowd. Crowding of teeth causes them to bump up against each other causing wear and tear on the teeth. When the teeth are crooked, some of them often protrude and they then rub up against one another. When the teeth rub up against one another, it causes wear on the enamel of each tooth. One of the most obvious dangers of having crooked teeth would be that the teeth are more likely to be damaged. People that play sports know how detrimental impacts to the face can be and when they have crooked teeth too it causes more likelihood that a tooth will be knocked out or chipped. The dangers that come with crooked teeth include dental problems, but there are a few other dangers that people may not realize. People may have a hard time chewing their food easily or comfortably if they have crooked teeth. Crooked teeth can cause a person discomfort when attempting to eat because the teeth do not match up evenly on the top and bottom. The teeth may also present problems when daily cleaning is done. Flossing and brushing of the teeth can be difficult for a person with crooked teeth because floss may not evenly fit or the bristles of the brush may not reach all of the necessary spaces. Crooked teeth actually do present overall dangers to a person’s health. It’s important that they know and understand what these dangers are in order for a person to realize that it’s time to visit the dentist. The dentist can help address the crooked teeth and how a person can manage the dangers that come along with them. If you still have questions about the dangers of crooked teeth, then give us a call today. We’re happy to help in any way that we can! « Are There Alternatives to Dental Crowns?